UST Heritage Packable Grill | BUDK.com - Knives & Swords At The Lowest Prices! Campfire cooking is a timeless tradition enjoyed for millennia, both solo and with the company of friends and family. 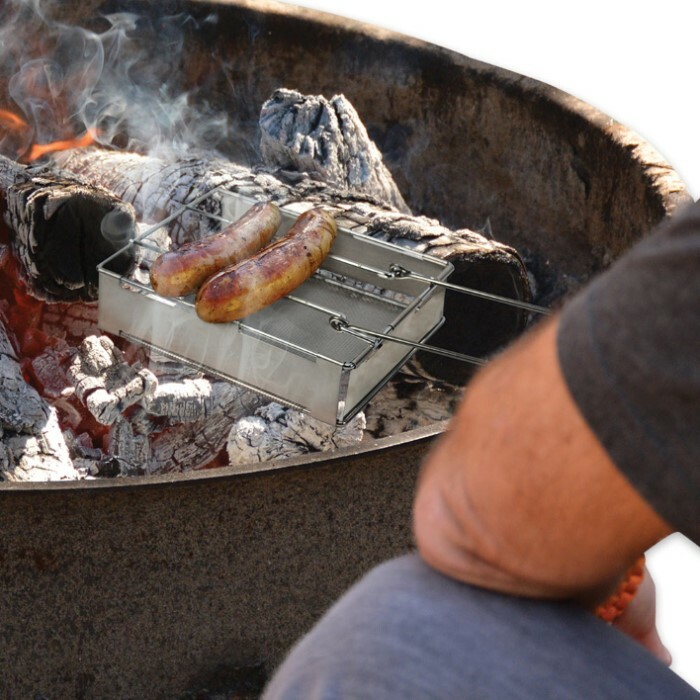 With the Heritage Packable Grill from Ultimate Survival Technologies, it's easy and fun to keep this great outdoor custom alive for our sons, daughters, grandchildren and generations beyond. 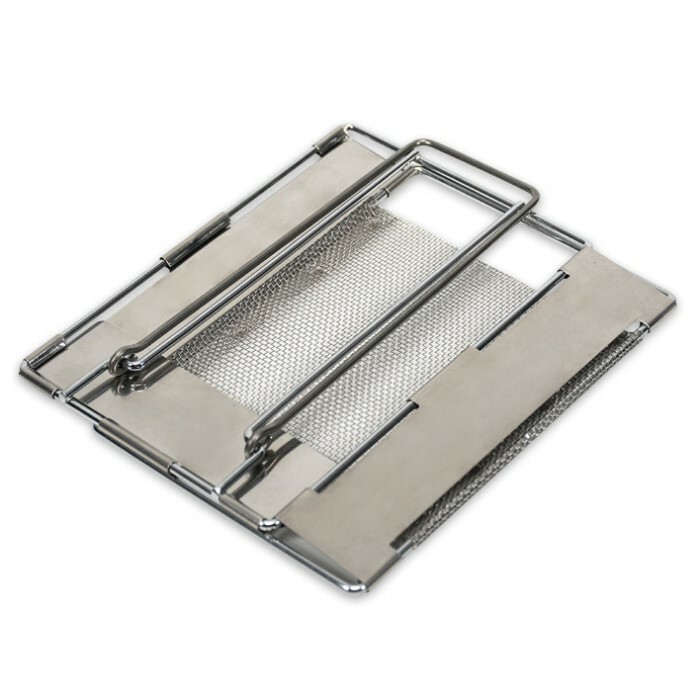 Grilling hot dogs, fresh caught trout, small game and countless other classic back country dishes has never been simpler or more convenient with this collapsible cooking implement, based on an early 20th century military design. At 6 1/4" long x 5 3/4" wide, it's amply sized for an array of wilderness fare yet barely takes up any precious limited space in your outdoor packing gear - especially when folded. In its stowed state, the Heritage Grill is nearly as flat as corrugated cardboard but expands to 1 1/2" deep for grilling. 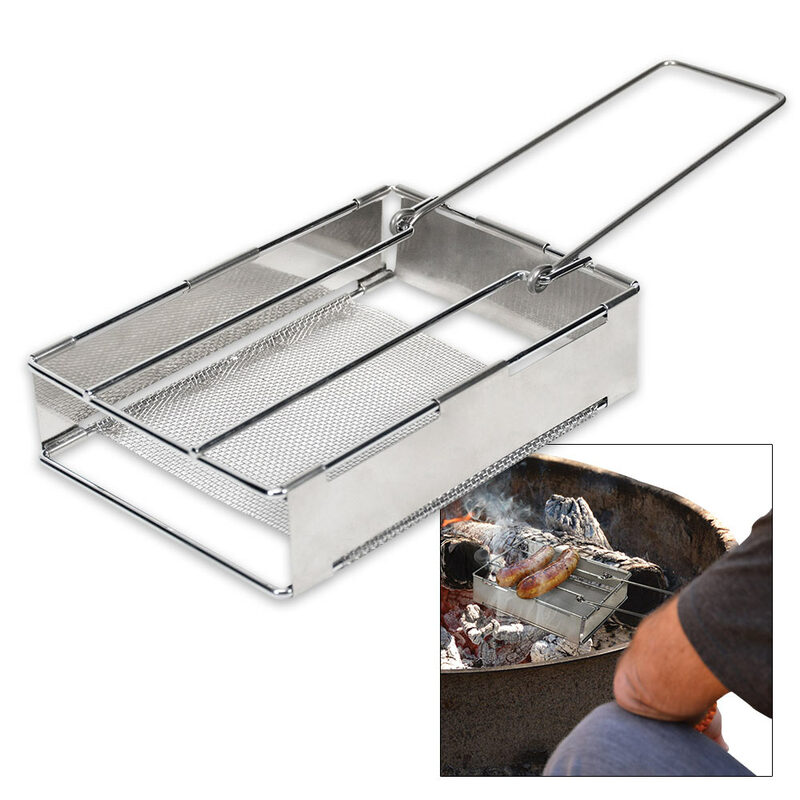 Tough, corrosion resistant stainless steel top rails impart food with delectable looking grill marks, and the mesh base - also stainless steel - heats up quickly and distributes heat evenly. The hinged handle keeps your hands well away from the heating source while cooking. Coat hangers are awkward to pack, sticks easily go up in flames, and both of these makeshift camp cooking utensils are suited for little more than hot dogs and marshmallows. Upgrade your camp dining experience with the UST Heritage Packable Grill!